Awards will be handed out next week on the MLB Network. The presidential election may be behind us, but sports fans still have a few races to watch. 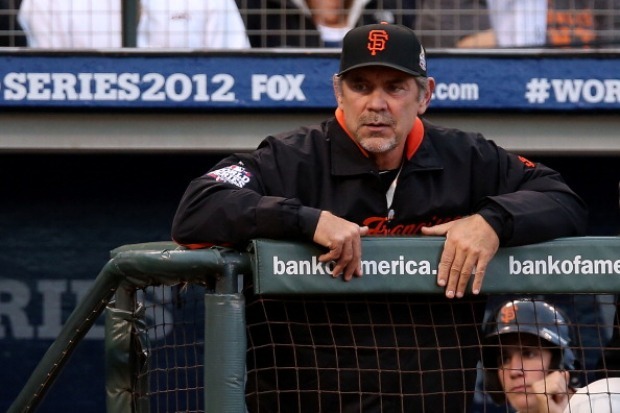 Giants manager Bruce Bochy is up for Manager of the Year and catcher Buster Posey is up for the Most Valuable Player. For the first time ever, Major League Baseball plans to give out the final awards of the season on live TV. The MLB Network will air the Baseball Writers' Association of America's choices of the best baseball had to offer in 2012 on four consecutive nights at 6 p.m. ET beginning on Monday. 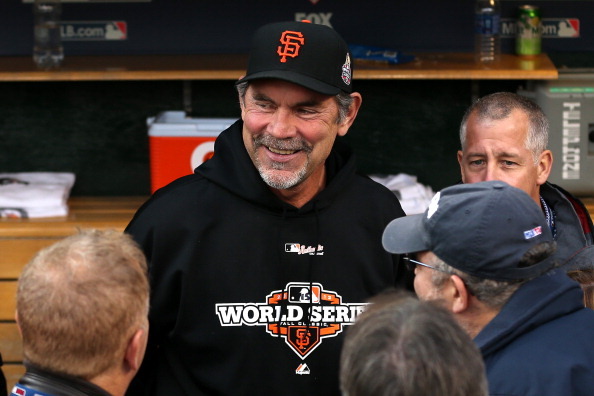 Bruce Bochy could not be more proud of his players. 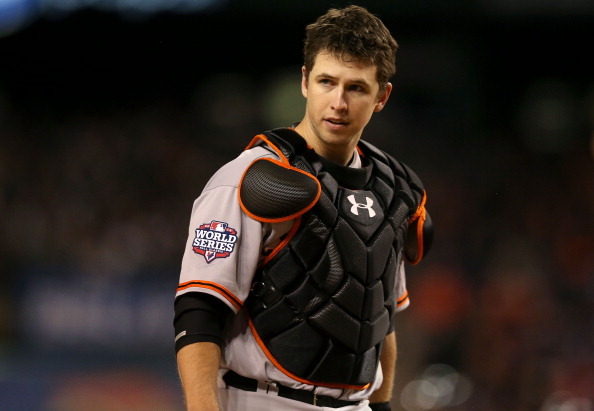 Ballots were submitted at the end of the regular season, so Bochy and Posey's post-season prowess will not count. Jackie Robinson Rookie of the Year Awards will be presented on Monday for both the American League and the National League, both Manager of the Year Awards will come Tuesday, the Cy Young Awards are on Wednesday and the Most Valuable Player Awards are on Thursday. 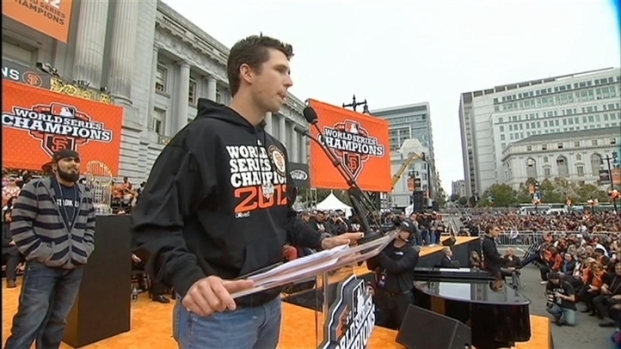 Matt Cain, Buster Posey and Sergio Romo address the fans at the Giants Celebration in downtown San Francisco on Oct 31, 2012.